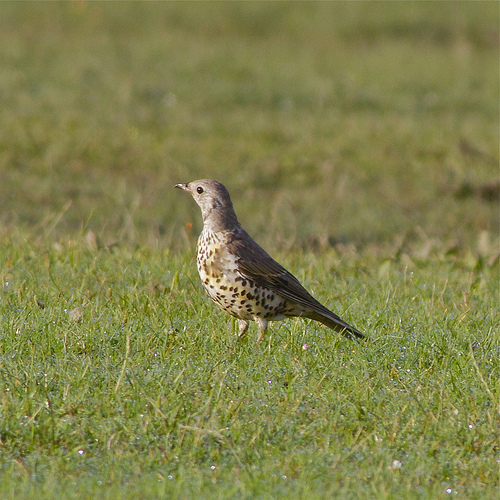 The Mistle Thrush resembles the widespread Song Thrush but is a lot larger. It uses its size to defend the nest fiercely. 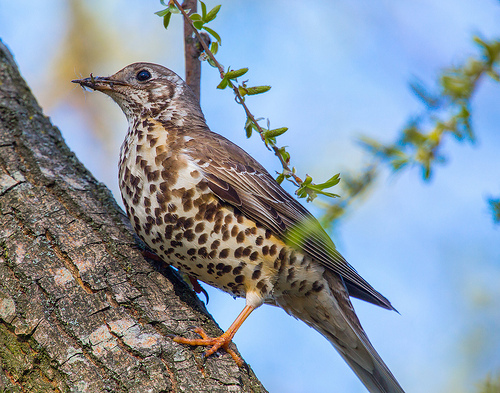 The Mistle Thrush has round spots on the belly and is larger and longer. The Song Thrush has oval spots on the belly. The Mistle Thrush is brown, a Fieldfare has grey as its main colour.